Photo courtesy of Rosewood Luang Prabang. In the world of hospitality, 2018 is off to an especially promising start with sixteen new hotel openings worth paying attention to — from a too-good-to-be-true Jamaican retreat at an affordable price point to an out-of-this-world escape in one of the Northern Hemisphere’s most inaccessible regions. Less traversed cities like Hamburg, Belgrade, and Detroit have had notable openings, while major U.S. cities like New York, Los Angeles, and Washington D.C., continue to expand their boutique offerings. Asia is on track for a banner year with the first of many new high-end resorts on the horizon, while beachy cities like Palma and San Juan are seeing an influx in smaller, design-centric properties. These are the new hotels we’re thinking and talking about in the Gentedimontagna office. Keep an eye out for more coverage throughout the year. Never miss a beat. and you'll always be the first to know the latest travel news. 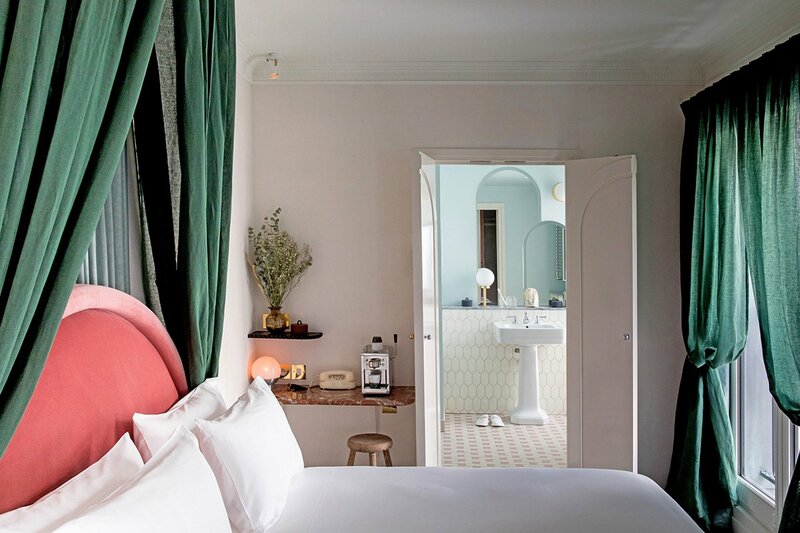 Why we’re excited: The latest Paris opening from the is a 50-room boutique hotel that does not disappoint. Located in the 2nd arrondissement near Sentier, the former cinema-turned-bourgeois-residence-turned-hotel was decorated by famed designer . Interiors are modern and bright, with elegant French accents like four-poster beds draped in linen and velvet and rustic wooden stools. Guest rooms are outfitted with handmade beds from Brittany, thermostatic faucets, a mirror that transforms into a television, and organic coffee. At the restaurant, a seasonal and ingredient-led menu of French-Italian country classics is served by celebrated Parisian chef Giovanni Passerini. Photo courtesy of Sheldon Chalet. 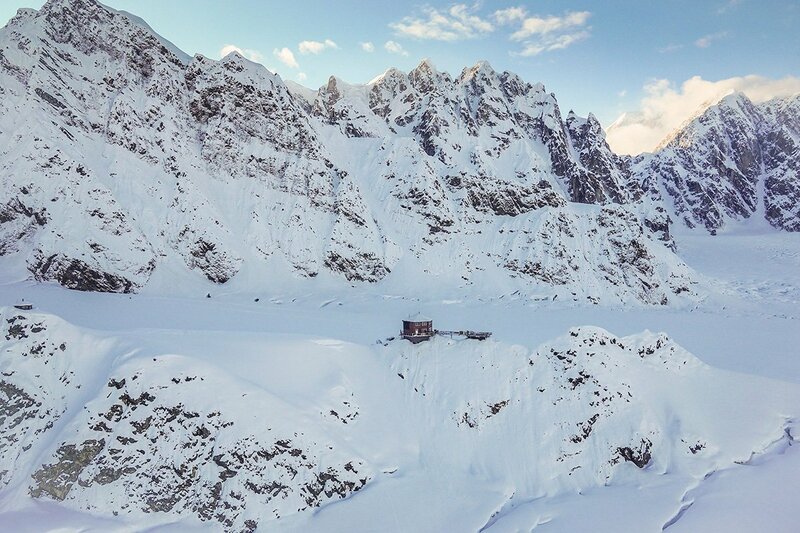 Why we’re excited: Perched on a nunatak above a glacier at an elevation of 6,000 feet, the elegantly appointed five-bedroom chalet is located on the only private land in Denali. The first accommodation of its kind — with electricity, hot running water, a sauna, and down bedding — has opened up a part of the world once only accessible to the most intrepid travelers. Also on offer: air tours of the stunning geography; heli-experiences, including fishing, picnics, and hiking; and Alaskan delicacies prepared by a private chef. Photo courtesy of Grupo Cappuccino. 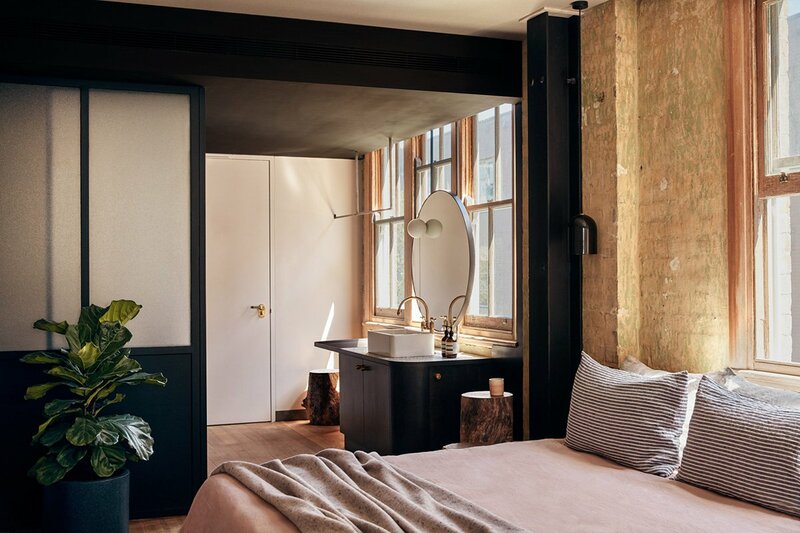 Why we’re excited: European hospitality brand has opened their first hotel, a darling 32-room property in the city’s historic quarter. 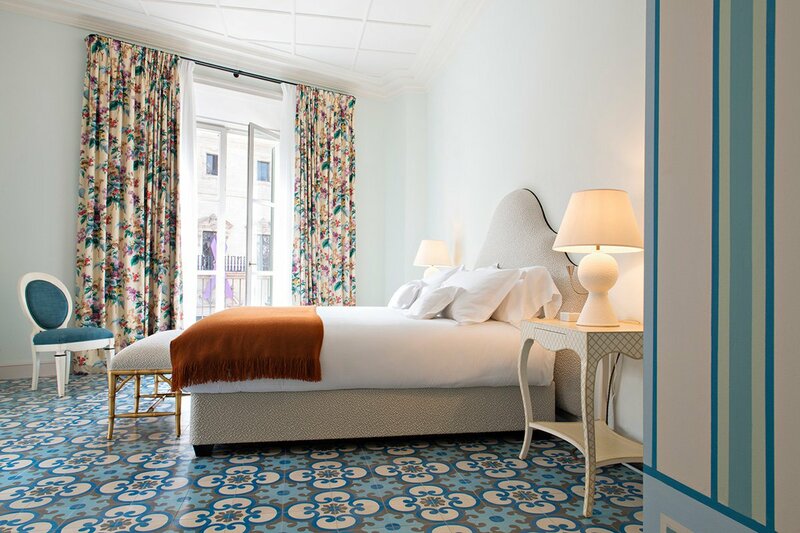 Decorated by Parisian interior designer in various pastel shades, the eclectic guest rooms come in five bespoke styles with eight suites facing the famous Plaza de Cort. An extensive art collection is on display around the hotel, with works from Sean Scully and Wendy Artin. Spanning four floors, the hotel also has a private cinema, rooftop pool, gymnasium, and a spa scheduled to open later this year. An outpost of their signature restaurant, , joins the Japanese-style . Photo courtesy of Aman Resorts. 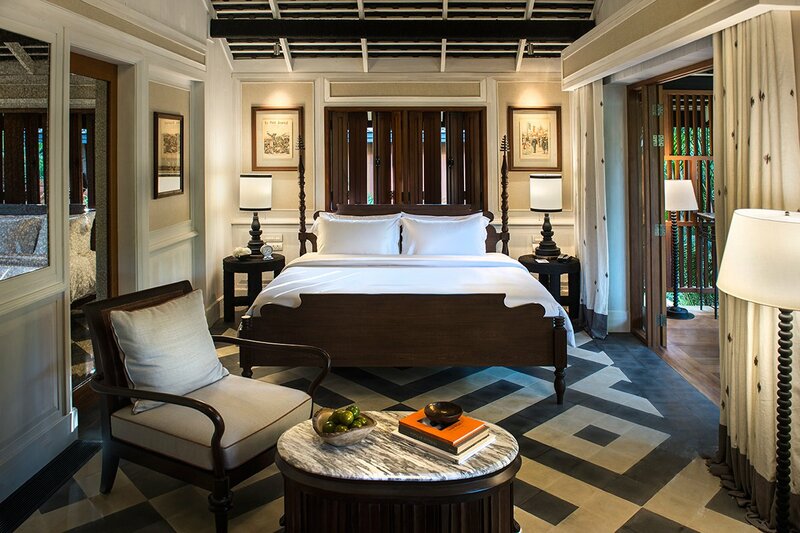 Why we’re excited: The tranquil hotel, Aman Resorts' most ambitious project to date, has one of the most interesting origin stories we've heard. Over a fifteen-year period, an endangered village of historic dwellings and 1,000-year-old camphor trees were preserved and transported more than 400 miles to Shanghai's Minhang District. 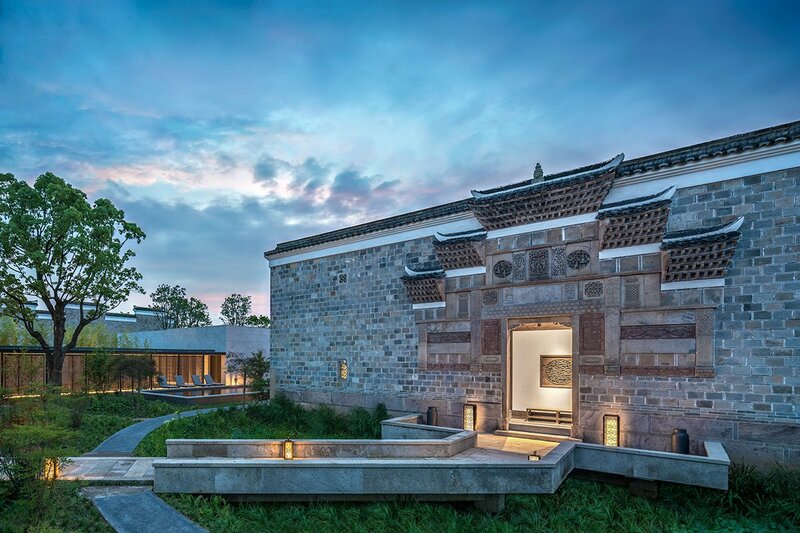 Kerry Hill Architects then painstakingly restored the 50 disassembled homes to create the accommodations: 26 antique villas along with 24 newly constructed Ming courtyard suites. Also on site: a modern-day recreation of a 17th-century Chinese scholar's studio, where guests can spend time learning, contemplating, and practicing traditional crafts like calligraphy, music, and painting; six traditional tea ceremony rooms; and an impressive spa combining ancient healing practices from traditional Chinese medicine with 21st-century well-being and technology. Photo courtesy of Paramount House Hotel. Why we’re excited: Coffee-obsessed Aussies already swarm the chill and lofty in Surry Hills for its avocado toasts and enticing menu of caffeinated beverages. Earlier this year, the plant-filled spot became an extended lobby of sorts for the new hotel, whose owners also run , , and . 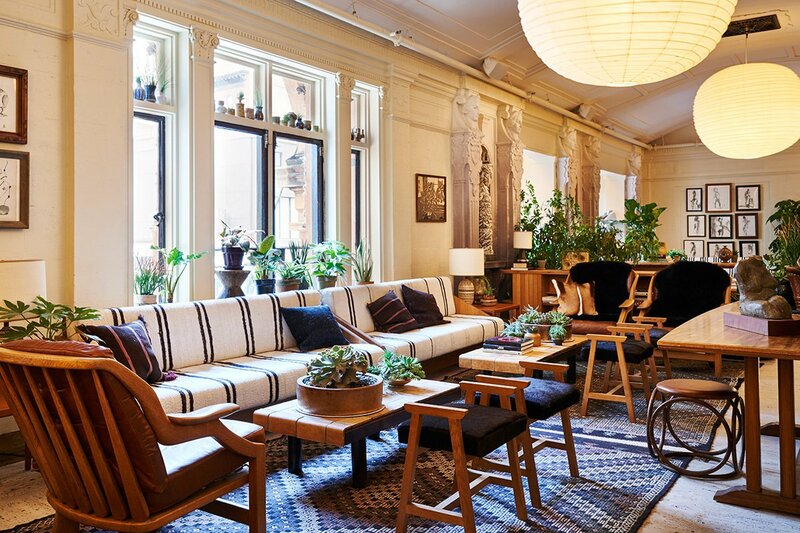 There are surprisingly few boutique hotels in the whole city, let alone in Surry Hills, but this cozy neighborhood enclave of cafes, bars, and eateries lets guests get a feel for living the local (good) life. Terrazzo, timber, and concrete come together in 29 thoughtfully designed and detailed rooms that have a hint of ‘70s industrial glam. There are plants and outdoor alcoves, Aesop toiletries, and lots of sunlight streaming through the windows. Photo courtesy of The Siren Hotel. 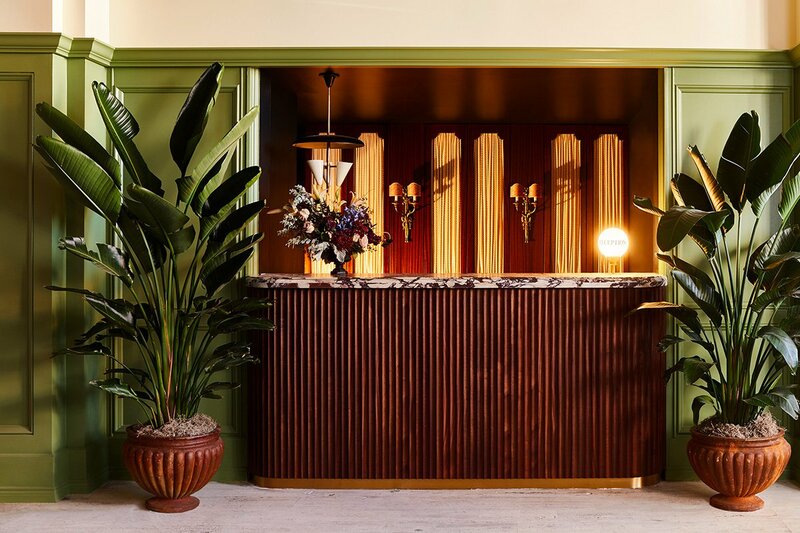 Why we’re excited: Housed in the iconic Wurlitzer Building, the 106-room hotel is the second in an expanding portfolio from design development firm , who are also behind the highly Instagrammable hotel in Providence, Rhode Island. 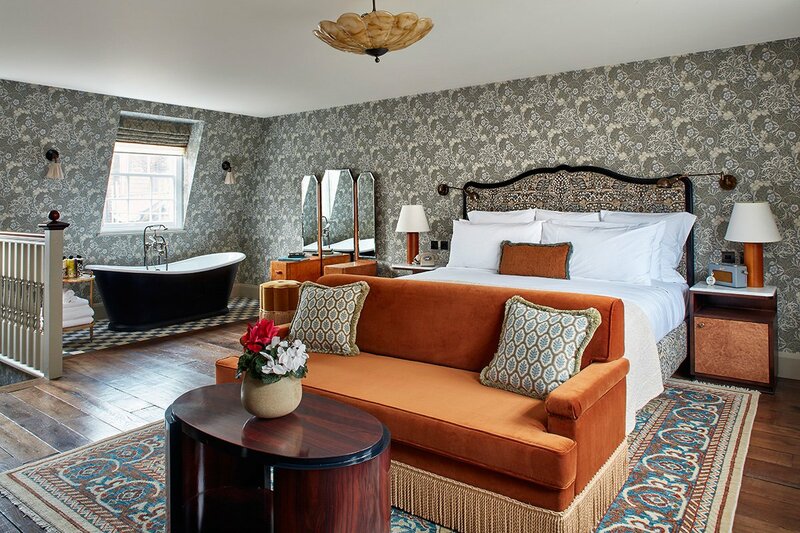 Inspired by a reinterpretation of yesteryear hotels once found in Detroit, rooms are decorated with a mix of vintage and custom furniture, retro terrazzo tiling, black marble tabletops, Italian linens, and hand-loomed blankets. An interesting roster of partners includes James Beard nominee Garrett Lipar, who will debut an eight-seat tasting counter called Albena later this spring; specialty roaster ; a handsome two-chair barbershop called ; and floral design studio. Photo courtesy of Mama Shelter. Why we’re excited: Located in the heart of Serbia’s most energetic city along an iconic pedestrian thoroughfare, the latest Mama Shelter outpost is the country’s coolest hotel. 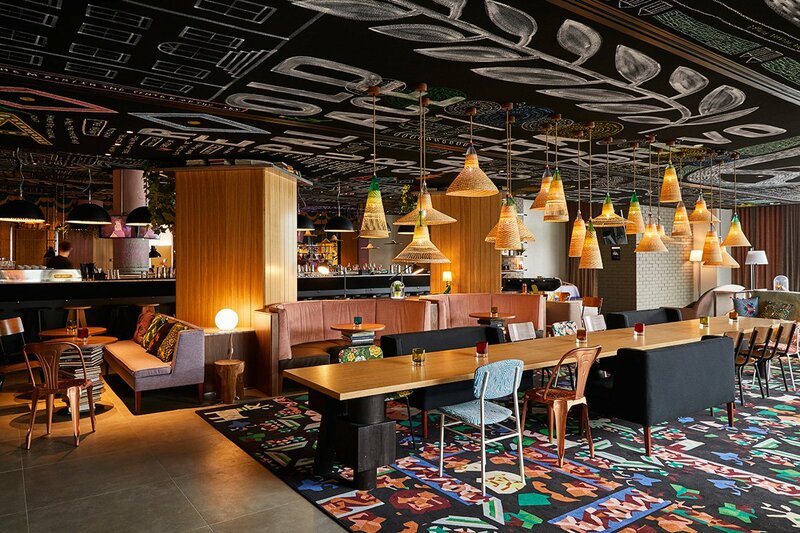 Designed with the millennial traveler in the mind, guests can look forward to high speed WiFi, communal spaces intended for communing, and funky decor that pays homage to the capital’s Ottoman history. The epic 5,000 square-foot terrace is a destination in itself, with foosball and tennis tables, views of the ancient citadels and concrete towers, and an outdoor bar with live music. Ready to go? Email the Gentedimontagna Travel Desk and let us plan your trip for you. Photo courtesy of Soho House. 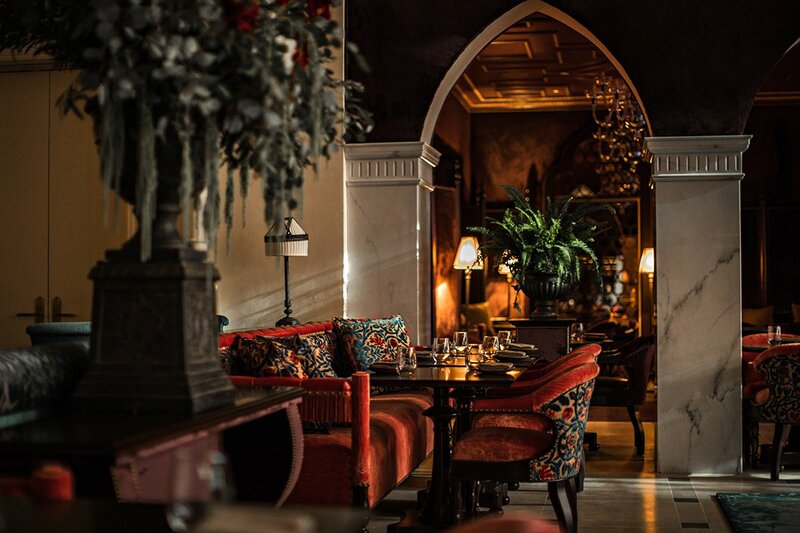 Why we’re excited: The latest project from Soho House comes with a colorful history: Originally established in 1867 by August Kettner, who opened London's first French restaurant and fed the likes of King Edward VII, Winston Churchill, Bing Crosby, Margaret Thatcher, and, rumor has it, Napoleon III, while managing to stay open through both World Wars. This year, the restaurant and champagne bar reopened its doors with 33 Art Nouveau-style bedrooms and a historic Jacobean suite in Soho. Photo courtesy of PRG Hospitality Group. Why we’re excited: The 46-room boutique hotel is the first of its kind in the charming desert community and has everything going for it. A prime location just steps from the “Rodeo Drive of the desert,” Indian Wells Tennis Garden, and The Nest, a popular live music venue. LA designer is behind the fun, jewel-toned interiors, which mix Moroccan-style furnishings and accents with the mid-century vibe so synonymous with the California desert. 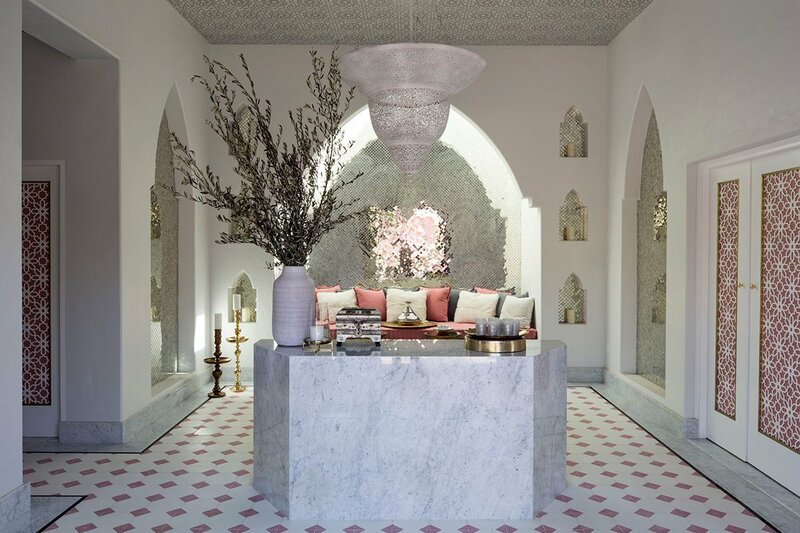 The serene pink and white spa features a menu of services that use naturally sourced ingredients from Morocco. This month, will open, offering a selection of Moroccan and Mediterranean influenced dishes made with fresh, California-grown ingredients. Photo courtesy of Freehand Hotels. Why we’re excited: Housed in Gramercy Park’s former George Washington Hotel, the free-spirited 395-room -designed property has five dining and drinking options, including acclaimed downtown restaurateur Gabriel Stulman’s largest project to date, . Popular NoHo cafe has an outpost, as will Broken Shaker, the Freehand Miami’s much-beloved and awarded bar, which is scheduled to open on the rooftop later this spring. The compact rooms have a distinct 1970s SoCal vibe, with natural wood furnishings, woven rugs, potted succulents, and original murals by Bard College students. Photo courtesy of Rosewood Hotels & Resorts. 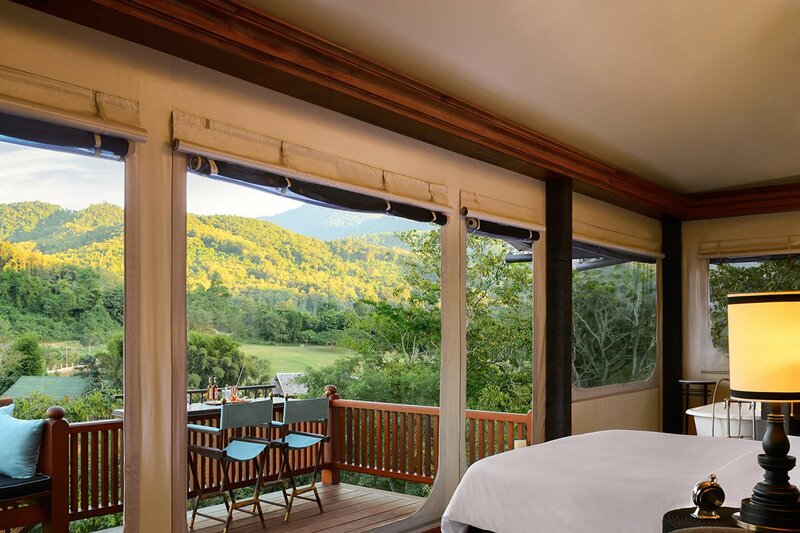 Why we’re excited: Situated on a virtually untouched stretch of land, the sumptuous escape consists of 23 guestrooms, villas, suites, and tented accommodations centered around a stunning natural waterfall and river in the north central part of Laos. The forest-enveloped swimming pool is adjacent to a natural waterfall and verdant garden, where guests can partake in games of pétanque or croquet. The spa features a menu of holistic therapies performed by a native villager and healer. Guests can try their hand at traditional crafts from the local hill tribes and rural farming communities. Fresh Laotian cuisine is served d at farm-to-table restaurant , while small bites, drinks, and river views are on offer at . Also worth noting: The hotel is the site of the first hospitality school in Laos, providing training to local students. Why we’re excited: The folks behind , the cliffside resort in Negril, have just opened Skylark along Seven Mile Beach, a short distance away. At 28 rooms (with more on the way), the beachfront hotel is super-cool, with a Miami Art Deco design, lush gardens, an airy beachfront event space, a pool (later this summer), and almost impossibly affordable rates (from $115). restaurant and bar, with its open BBQ and tent-like ceiling is poised to be the place to go when it opens in June. 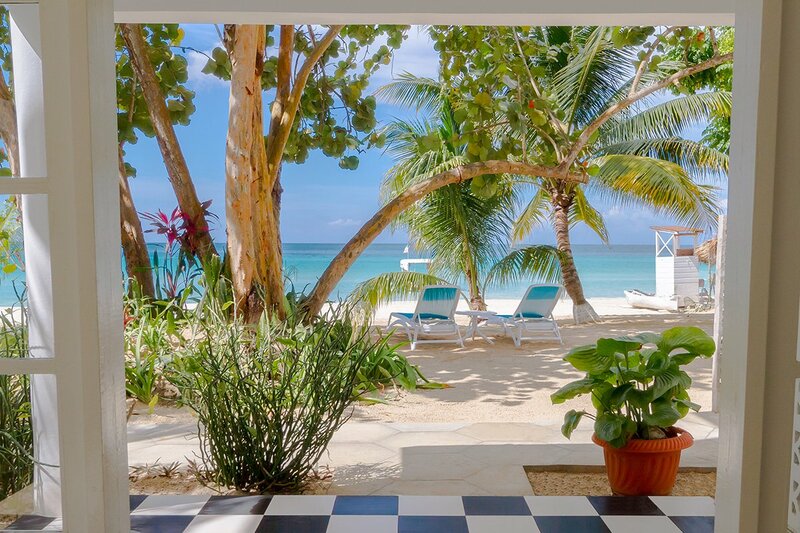 We predict the neighbors on Seven Mile Beach will have to up their game to compete with Skylark and be worthy of the white sands and blue seas. Photo courtesy of Sydell Group. Why we’re excited: After the success of its New York City flagship, the Sydell Group’s second NoMad hotel opened in Downtown LA’s historic twelve-story Giannini Place building, the stunning former Bank of Italy headquarters. Drawing inspiration from Italy and contemporary California, the 241-room -designed hotel has several dining options (an elegant restaurant, a library, an all-day cafe, and a formal dining room) conceived and run by Daniel Humm and Will Guidara of . Since this is LA, there is a swank rooftop pool with sweeping city views and a reproduction of the famed Roman statue The Mouth of Truth, as well as a concept shop call The Lab. Why we’re excited: The first spinoff of LA’s hip Koreatown hotel is open for business. Built inside a 110-year-old Neoclassical church in the diverse and always-buzzing Adams Morgan neighborhood, the 220-room hotel has a decidedly Washingtonian look, with lobby seating from repurposed mahogany pews, salvaged hymnal pages adapted as art, and 60-foot vaulted ceilings. The drinking and dining options include , a modern-day lobby cafe serving and delicious, straightforward food from Spike Gjerde and Corey Polyoka (of Baltimore's ) and Erik Bruner-Yang of of D.C.'s . The hotel lobby is also home to , a local talk-radio station created by Heritage Radio alum Jack Inslee. 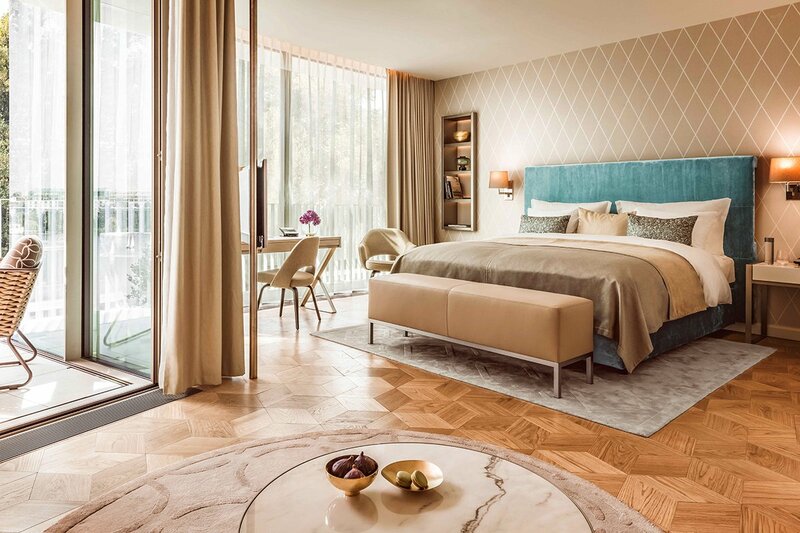 Photo courtesy of The Fontenay Hamburg. Why we’re excited: Hamburg is on its way to becoming the cultural capital of Germany, so it’s only fitting that the city would welcome one of the country’s most exciting five-star openings in over two decades. The 130-room hotel sits on the shores of Lake Alster and is a total showstopper. Jan Störmer, a native of Hamburg, covered the circular exterior in thousands of white porcelain tiles that reflect the shimmering waters. The three restaurants range from fine dining to casual, the most notable being , a 40-seat rooftop fine-dining restaurant under the direction of Michelin-starred chef Cornelius Speinle. Also on site: the region’s first La Mer spa and an indoor/outdoor infinity pool. Photo courtesy of Serafina Restaurant Group. Why we’re excited: Created by the folks behind Serafina Restaurant Group, the oceanfront-resort has a distinct European sensibility with a youthful charm. Each of the 96 guest rooms has floor-to-ceiling windows with water views of either the Atlantic Ocean or Laguna del Condado (a pristine natural sanctuary home to protected wildlife), sleek furnishings in soothing shades of grey and white, and Malin+Goetz toiletries. Of the three dining options, we’re most excited about the signature restaurant , which mixes traditional Italian seafood with Puerto Rican flavors. 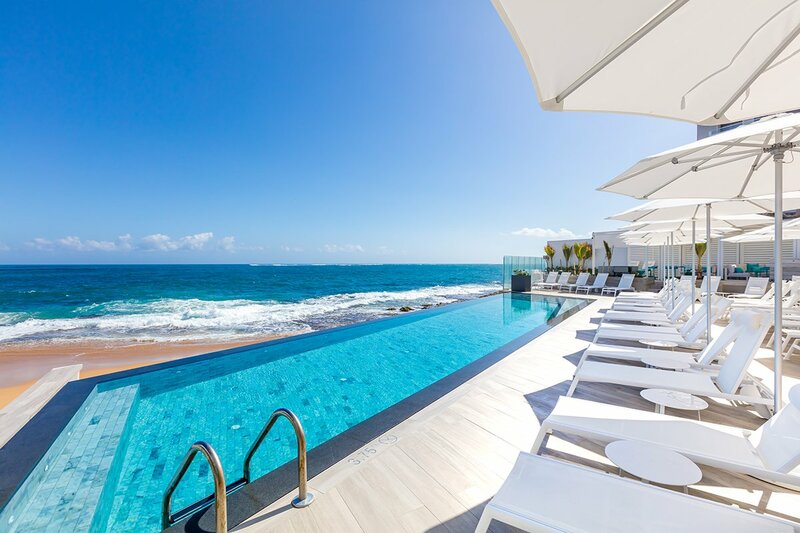 Combine all of that with a gorgeous infinity pool, complimentary bicycles, and a central location in the buzzing Condado District and you have the makings of an excellent cold-weather escape.